This module consists of a few posts on what to learn and use for Web Development. 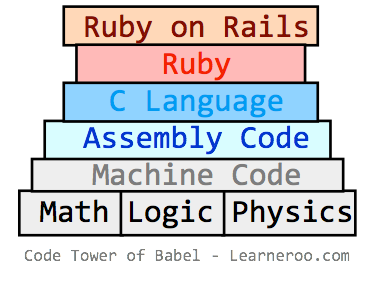 It then provides some resources for learning Web Development with Ruby on Rails. This page discusses how much programming you need to learn to create web applications. Question: When every technology is built on levels beneath it, what is the balance of prerequisites one should learn before jumping into a higher subject? SQL is used to communicate with databases, but Rails provides an alternative library, ActiveRecord, to generate the SQL for you. ActiveRecord does not form a complete abstraction layer since there are useful database actions it cannot do. A professional Rails developer will need to learn both ActiveRecord for concise and clear code, and SQL for advanced queries. What should a beginner learn first? 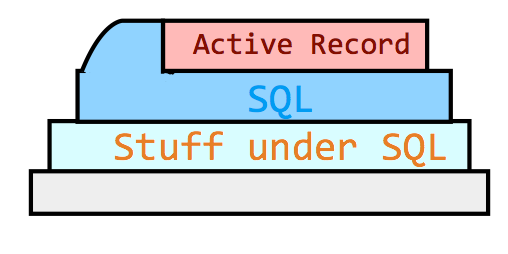 As discussed before, I think beginners can start with ActiveRecord since it will be easier for them initially and it can perform all the requirements of a basic app without any hand-coded SQL. Programming students can learn the syntax of SQL later when they need it. People can learn what they need or what they're interested in, don't make them learn what was necessary in the past. People who remember the past too much are doomed to repeat it.